Hi everyone! 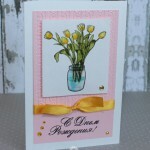 I’m back with a new card which I created with the most adorable images from Penny Black stamp set. 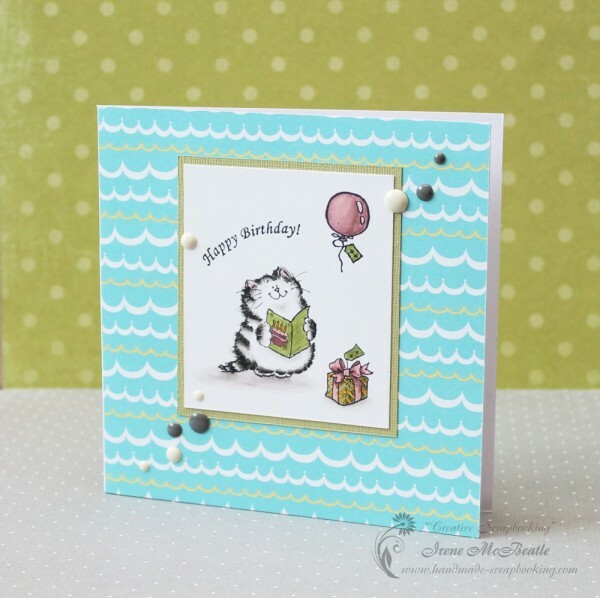 Continue reading to see this very cute birthday cat! It’s been a while since I posted to this blog because I have so much going on. 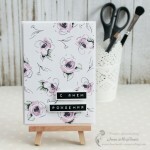 I’m making a couple of scrapbook albums to order and teaching scrapbooking classes in groups. So I’m always in the middle of a project. When I have a minute to take a break I want to create something with the newest supplies that I’ve recently bought. This time it was Penny Black stamp set with cats and mice. I chose this funny cat holding a card. I colored it with distress markers and put on a card. It was really quick and simple. 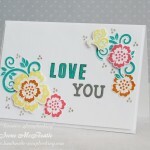 I’d like to participate in the “In the middle” challenge at Simon Says Stamp Monday Challenge Blog. Adorable card! Sweet image! Someone is going to be a lucky recipient of this cute card! Thanks for playing along with us at Simon Says Stamp Monday Challenge!